44 Lukie Points will be rewarded to you when you buy this. 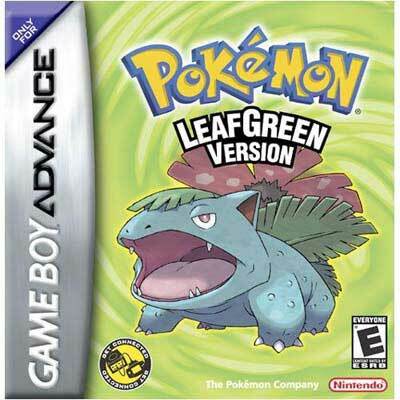 Pokemon LeafGreen Version GBA Game Boy Advance Game Cartridge Cleaned Tested and Guaranteed to Work! So far, the game is running perfectly! Great updated version of the original base game. Cartridge looks phenomenal and plays without any issues. Lukie delivers quality yet again! I ordered this hoping it would be legit and and judging from the reviews it would be. Boy was I NOT dissapointed. The feels I have playing this is just insane, just like I'm 12 years old all over again. Thank you so much lukiegames you guys are so special. LeafGreen Version arrived in two days due to my shipping choice and in perfect condition. So happy and will be ordering more soon, probably FireRed Version. Once again, Lukie Games does not disappoint. Cartridge in perfect condition, booted up first try, no issues at all! Super happy pokémaniac! By far the best game I purchased so far! Received this and Emerald, both are genuine games. I have ordered from Lukie games before, and everything was as hoped. This copy works just as it would brand new, and there are very minor cosmetic flaws. Got to me on time in great condition! 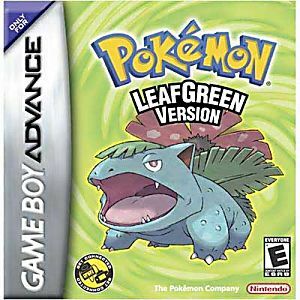 I ordered Pokemon: Leaf Green as a Christmas present. I was thrilled with how fast it arrived, along with two GBA consoles. The packaging was very well done for all the items, I have been having a blast playing it. Ordered the Leafgreen game with some other items and received it within 3 days despite choosing the free shipping option. The game itself came in great condition with no physical flaws or software flaws. Only thing that I didn't like was the packaging. The items were just thrown into the box with some air inflated plastic on top of them. I would of preferred them to be individually wrapped with bubble wrap or something to help protect them a bit more. Other than that, fast shipping and good quality game. My first pokemon experience was SoulSilver, so this is somewhat familiar. It was pretty much as I expected, but enough differences from the remakes that I still stay interested in the story. Works well and arrive fast, and its the real game not a fake,Thank you lukiegames. I love this game immensely!!! !